Sprint customers who are rap fans are in for a treat. 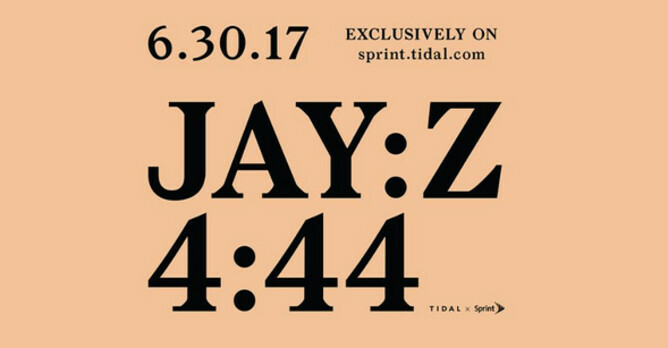 Starting on June 30th can stream Jay Z's 13th album, "4:44," for free. The album will be launched exclusively June 30th on Tidal, which means that new and existing Sprint customers can use their free six-month Tidal subscription to listen to the latest from the rapper. Those of you not subscribed to either Sprint or Tidal will be out of luck. This isn't the first time that Jay Z has used the launch of a new album to help promote a mobile device or service. In 2013, Jay Z's "Magna Carter Holy Grail," was offered for free to anyone who purchased the Samsung Galaxy S3, Samsung Galaxy S4 or Samsung Galaxy Note 2. Tidal, which is now 33% owned by Sprint, said last year that it had 3 million subscribers with 1.35 million of them paying $19.99 a month for the high-fidelity version of the service. The regular version of Tidal costs $9.99 a month. While that figure is no doubt higher now after Sprint started offering it to subscribers in January, Tidal remains well behind the 50 million paid subscribers belonging to Spotify and the 27 million subscribed to Apple Music. Too bad the Tidal app doesn't work on my phone. It keeps saying "something went wrong. Please try again"